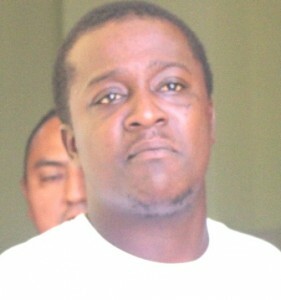 Construction worker Kareem Smith, who is no stranger to the law, is tonight behind bars on remand. According to reports, on July fifteenth, Smith allegedly pulled a gun on his estranged girlfriend Cordelia Pou and threatened to kill her. He appeared unrepresented in Court today and explained that Pou was outside to withdraw the charge against him. But that’s when things went swiftly downhill for Smith. Pou came into the Courtroom and instead told Senior Magistrate about other instances of abuse by Smith. Despite the shocked young man going down on bended knees inside the Court, Pou stuck to her story and before walking out the Court, told the Magistrate she would leave his fate up to her. It was an emotional moment for Smith, who told the Magistrate that she was acting out of spite and jealousy. He then pleaded not guilty to both charges. Because of the nature of the assault, the Magistrate could not release Smith, and instead remanded him to the Belize Central Prison until October thirteenth.